The SIP study farm network tested and demonstrated a range of farm management practices with the potential to improve the economic, environmental or social performance of farming systems. The SIP work at the Study Farms built on existing research activities relevant to SI through: additional interventions, new measurements and analyses, and/or scaling-up evaluation. Each farm has established a baseline from ongoing or new data, enabling the actual or potential economic and environmental impacts and benefits of the alternative practices to be assessed. Related and wider work continues at each of the Study Farms, beyond the end of the SIP. Please click on individual study farm links to find out more. 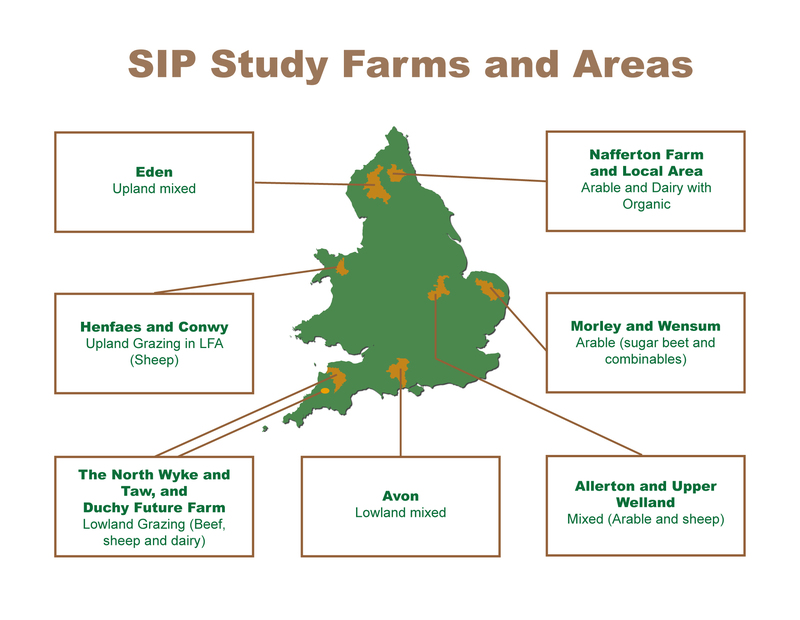 The data generated by the SIP is freely available via Defra for future use. During the SIP, the study farms were centres for knowledge exchange with farmers, advisers and other stakeholders. If you are interested in finding out more about future open days, please follow the individual study farm links.